Remarkable discoveries by archaeologists from Abu Dhabi Tourism and Culture Authority, TCA Abu Dhabi, at ancient sites on the island of Marawah and in Baynunah, have revealed new information on Abu Dhabi’s earliest inhabitants, evidencing a rich history stretching back over 7,000 years. Commenting on the latest discoveries, Mohamed Khalifa Al Mubarak, Chairman of TCA Abu Dhabi, said, "These important discoveries signify Abu Dhabi’s advanced construction methods from the Neolithic era and the influential role it had in early long-distance maritime trade. The expertise of our team of archaeologists allows us to build a narrative of the emirate’s development and history, piecing together an intriguing and intricate story of the earliest known inhabitants of the Emirate of Abu Dhabi. We are encouraged to assign more excavation works, and our aim is to conduct extensive studies to further understand our ancestors and our land, and our mission is to share these findings with the world." 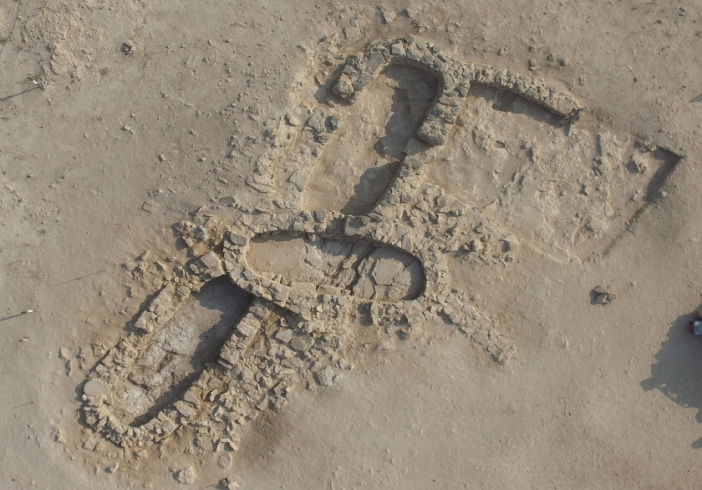 On the island of Marawah, just off the coast of Abu Dhabi, excavations have revealed one of the earliest stone-built villages in the Arabian Gulf. The new excavations, completed in October last year, focused on one of seven mounds in the village, and revealed a structure with three joining stone-built rooms. TCA Abu Dhabi Coastal Heritage archaeologist Abdulla Khalfan Al Kaabi said, "Radiocarbon dating of the deposits show that the village dates back more than 7,500 years to the Neolithic period. This style of architecture is unique for this period and has never been found before in the region." "These sites can reveal so much information about the very early history of our land and I am proud to be working on both of them," added Al Kaabi. "These discoveries and findings will provide crucial information in the future for research and documentation, allowing everyone access, from scholars and students to the general public, to a precious part of our history, and gives us opportunities to publish all this information in all mediums available for future generations. These valuable findings can only be obtained through the careful study and excavation work of such archaeological sites," he added. Hundreds of artefacts have also allowed TCA Abu Dhabi archaeologists to piece together what life was like for these villagers and inhabitants 7,500 years ago. The ancient people herded sheep and goats, and used stone tools to hunt and butcher other animals, like gazelles. The large amounts of fish, dugong, turtle and dolphin bones show how people had come to understand the sea and use its resources for food and sustenance. The excavation also found very fine, small beads made from shell and a small shark’s tooth, which had been very carefully drilled, which archaeologists believe were probably worn as adornments. During previous excavations at the site, archaeologists and experts also found a complete and highly decorated ceramic jar, made in Iraq, which gives evidence to the fact that the inhabitants of Marawah also used the sea for trade. This jar was transported more than a thousand kilometres and is early evidence for the beginnings of long-distance maritime trade in the Arabian Gulf. Marawah inhabitants enjoyed a climate that had more rainfall than exists today. Around 6,000 years ago, however, the situation changed and the area became very arid. Following the abandonment of the village, some of the rooms were used for burial purposes. Two skeletons were found, each in a crouched position with the head facing towards the east. Ahmed Abdalla Elhag Elfaki, archaeologist at TCA Abu Dhabi, said, "This form of burial is typical of other known Late Stone Age burials, such as those known from Jebel Buhais in Sharjah." Efforts to examine the skeletal remains by experts are underway to determine more information about their age and health. The new excavations at Baynunah, about 130 kilometers south-west of Abu Dhabi, revealed a different side of ancient life in the Emirate. The desert surface of this site is littered with white fragments of ancient wild camel bones. These are the remains of wild camels that were hunted and killed 6,500 years ago. Research has shown that people lured the animals into the soft, wet ground at Baynunah, where the camels would lose their footing and eventually become trapped. "Hunting these large wild animals must have been a serious challenge, so slowing them down gave the hunters their best opportunity to kill and harvest more camels," added Elfaki. "The discovery of a flint arrowhead inside the rib cage of one of the wild camels shows the tools used for hunting the animals and how they were hunted." Baynunah has provided the earliest evidence from anywhere in the Middle East for the mass killing of wild camels. By hunting these animals, people would have also understood more about the wild camel’s natural habits. This information was important for domesticating camels much later. It is no coincidence, perhaps, that evidence from other scientific research is now pointing to southeastern Arabia as the location of initial camel domestication. The meat from these camels was an important source of food for people at a time when other resources were becoming scarce. A major hunt would have produced enough food for a community, and sharing this meat would have strengthened social bonds. Other sites, such as Al Sufouh in Dubai, have revealed evidence for the continuation of this style of camel hunting into the Bronze Age. Experts working at Baynunah are now conducting research that will allow them to discover more about the biology of wild camels, now that near-complete skeletons have been found on the site. This is particularly significant since wild camels became extinct hundreds, if not thousands, of years ago and very little documentation and research is available about them today. Archaeologists at TCA Abu Dhabi are also planning to continue working at both sites in the future.